Choose from a variety of energy efficient window materials, each with unique qualities. Windows can be made from a variety of materials— like aluminum, fiberglass, vinyl, and wood. Each has benefits and drawbacks when it comes energy efficiency, durability, pricing, style and maintenance requirements. 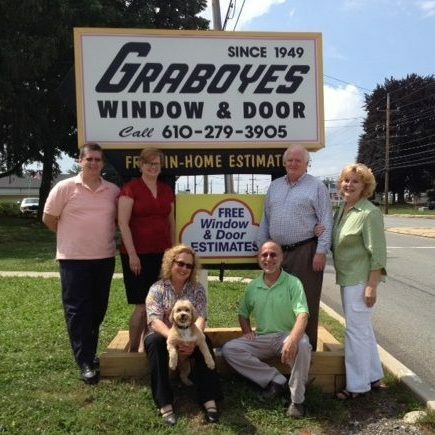 Please call us at (610) 279-3905 or complete the FREE QUOTE form. Vinyl Windows: Modern, sophisticated and practically maintenance free. Vinyl windows come pre-finished in a variety of colors and only require a basic cleaning to maintain they’re efficacy. They also provide excellent energy performance with weathertight sashes, durable frames and modern glass technology. Quality vinyl windows are a cost effective way to insulate ad beautify your home. Fiberglass Windows: Strength meets beauty. Effortlessly durable and the most energy efficient of all window materials, fiberglass is a top-of-the-line product. They are also the most customizable of materials since they can come pre-finished in the color pallet of your choice, are totally paintable after installation and can be made in just about any shape or size. Wood Windows: A classic choice. Attractive and elegant, wood windows come in a wide variety of styles, and shapes. They can be stained or painted to match your décor, and can easily be updated with a fresh coat. Because wood windows absorb water, they require regular maintenance to keep them looking fresh.